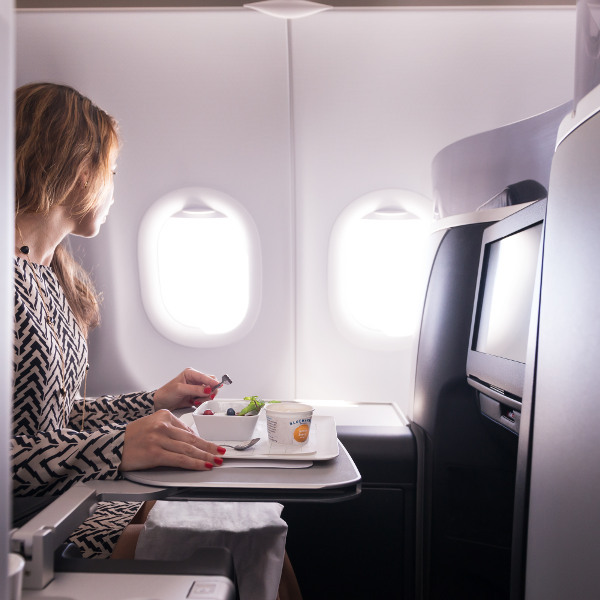 Enjoy award-winning JetBlue experiences that many know and love, from the spacious legroom, to the free snacks and refreshments, free DIRECTV® and SiriusXM® Radio as well as high-speed Fly-Fi. Have the ease of gaining instant access to your itineraries, flight status information, mobile boarding passes and the inflight entertainment, all in the palm of your hand for your convenience. 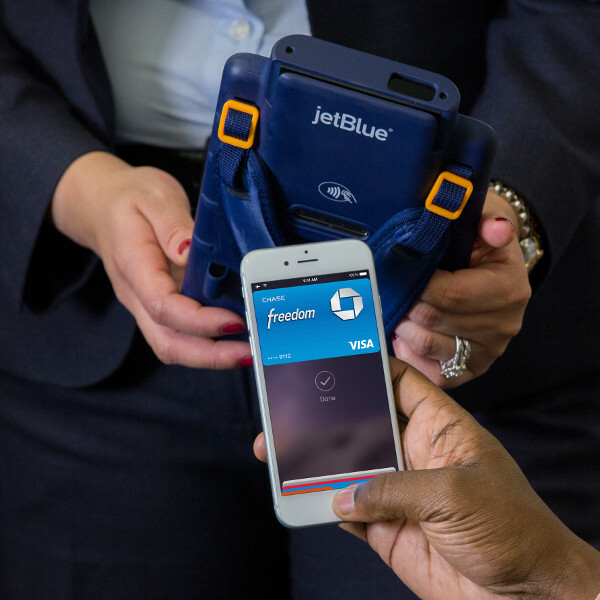 As a member of TrueBlue, you are able to personalize your JetBlue experience with bonus points that reward all types of travel. Accumulate your points to land great one-way and roundtrip flights to your favourite JetBlue destinations. JetBlue is an American low-cost carrier, and the sixth largest airline in the United States. This carrier travels to over 100 destinations across the globe with their partner airlines, including Aer Lingus, British Airways, Cathay Pacific and Qatar. Their frequent-flyer programme, TrueBlue, allows members to earn points and redeem great travel rewards and discounts. 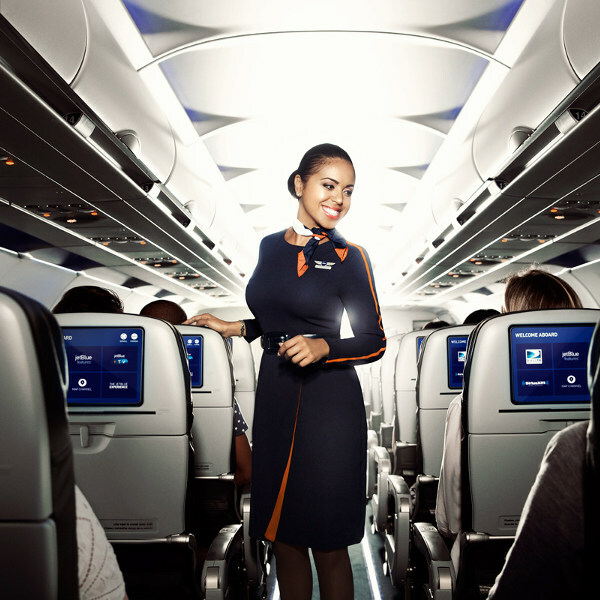 JetBlue has consistently been ranked among the best airlines in the United States. For the last 12 years, JetBlue has been ranked “Top Low-Cost Airline for Customer Satisfaction in North America”! Not only is JetBlue a safe and reliable airline, but it is one of the busiest airlines in the US, providing each and every passenger with first-class service not only on board, but on the ground as well. Book JetBlue flights to New York, Chicago, Seattle and other exciting places! Passengers are charged different baggage fees depending on your class of travel. Each checked bag may not weigh more than 23 kg. Any checked luggage that does not meet the size and weight allowance will be subject to $100 penalty per bag. Please consult the JetBlue website for baggage requirements for travel to Central and South America. Passengers may bring on board one carry-on bag (not exceeding 55 x 35 x 22 cm), and one personal item, like a briefcase or laptop bag (not exceeding 43 x 33 x 20 cm). JetBlue online check-in is available up to 24 hours in advance, and closes 90 minutes prior to flight departure. Check-in is also available via the JetBlue mobile app. Check in quickly and easily at the self-check-in kiosks located in selected airports across the US. Simply print your bag tag and proceed to the bag-drop counter with your relevant documents. All bags should be checked in 40 minutes before departure on domestic flights, and 60 minutes before departure on international flights. While this is JetBlue’s basic seating plan, there is nothing basic about the onboard amenities. Take advantage of nonstop entertainment with plenty of movies, TV programmes and audio bouquets to choose from, while you stretch out to extra legroom. Complimentary snacks and refreshments are offered throughout your flight, and those with a bigger appetite can purchase fresh hot and cold meals. For a premium travel experience, upgrade to the Mint® experience where you can enjoy fully lie-flat seats, exclusive dining options and refreshing amenity kits. Three-course meal services are included, as well as complimentary beer, wine, liquor and soft drinks. Enjoy over 100 channels of TV shows, radio shows and movies. Priority boarding is also the order of the day. If you’re wanting extra room to stretch out in, JetBlue offers their Even More® option, giving passengers extra spacious seats, along with early boarding and a fast lane to security checkpoints. Depending on your cabin class and duration of flight, you can enjoy complimentary warm/ cold beverages and snacks with a great variety of movies, free DIRECTV and Sirius XM Radio at your fingertips. For long-haul flights, complimentary snooze kits are provided to passengers, ensuring that you arrive feeling refreshed. There is also free Wi-Fi provided on all flights.